The Sweet Surrender Tulip Bouquet features the effortless sophistication of seasonal tulips. 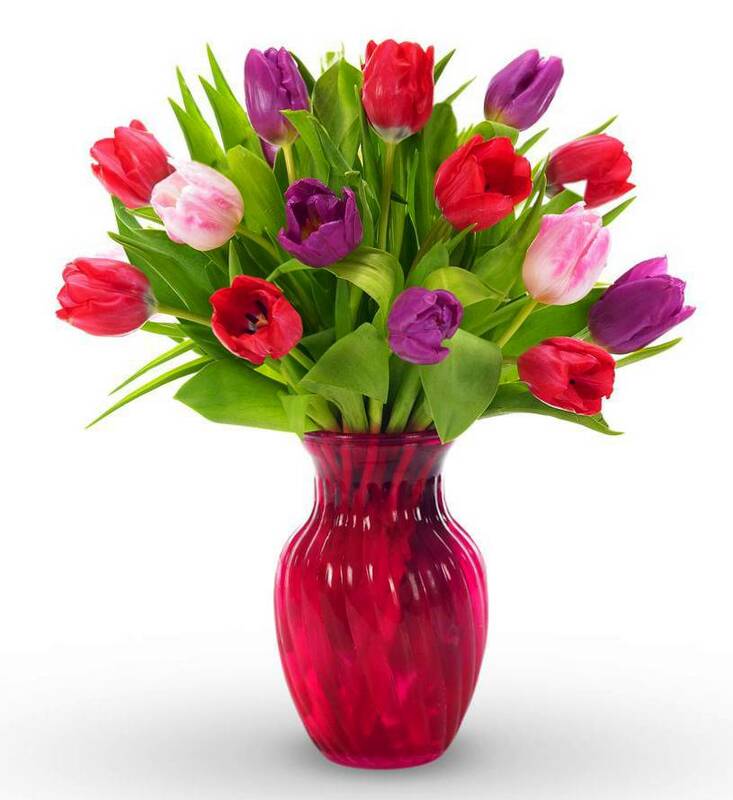 It includes assorted colored tulips in a pink vase. Surrender and present her with a bouquet as beautiful as she is.